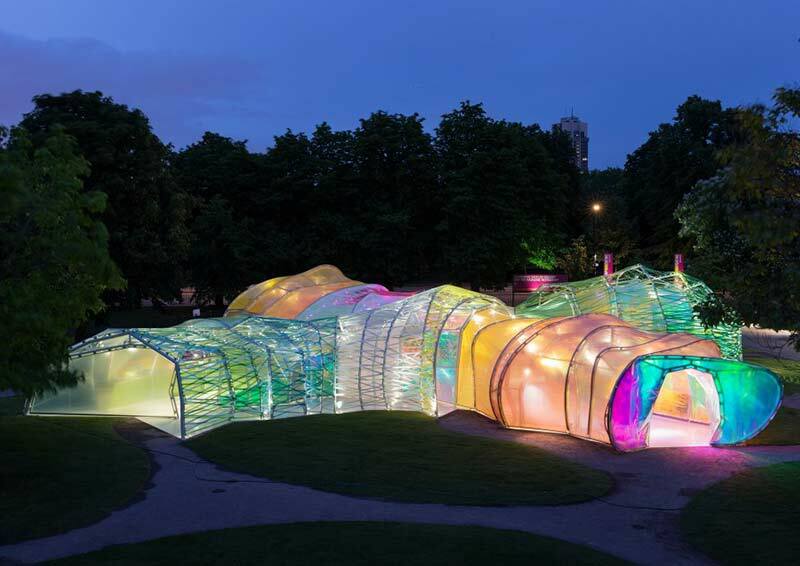 A Journey Through Colour: The 2015 Serpentine Pavilion with Selgascano. Michael Orr, Senior Engineer and Olivia Wall, Structural Engineer from AECOM present a brief summary of the design and build process for the 2015 incarnation of the world famous Serpentine Pavilion, covering the development of the design from initial concept to completed structure made possible by innovative use of materials and parametric design workflows. Michael Orr is a Senior Engineer and Olivia Wall is a Structural Engineer working for AECOM in MidCity Place, London. Michael graduated from the University of Durham in 2008, gaining chartership with the Institution of Structural Engineers in 2013; Olivia graduated from Sheffield University in 2013. Michael and Olivia work as part of the Sports, Leisure, Cities and Culture group and recent project include the design for the Al Wakrah Stadium for the FIFA 2022 World Cup in Qatar.